In the world of gaming, there are those who stand out as creators, leaders, and cultivators of the game. The VIP Collection is a salute to the partners of SCUF who have stepped forward to make professional gaming a more vibrant and exciting place to play. From streamers to publishers, every member of the VIP Series is imprinted with the iconography of favorite personalities of the gaming world and beyond. Custom-made and handcrafted, each controller is a testament to the power of technological innovation, and is the reason that over 90% of all pro gamers use a SCUF. 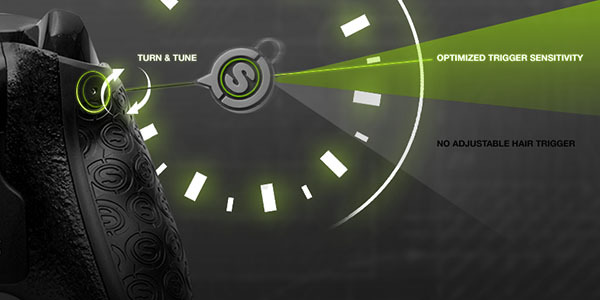 Learn more about the innovative features that power a SCUF. 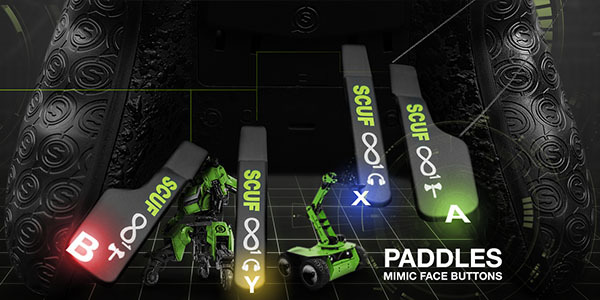 Paddles enable up to 100% more hand usage in advanced gameplay. Hand-tested and guaranteed no slow turn. 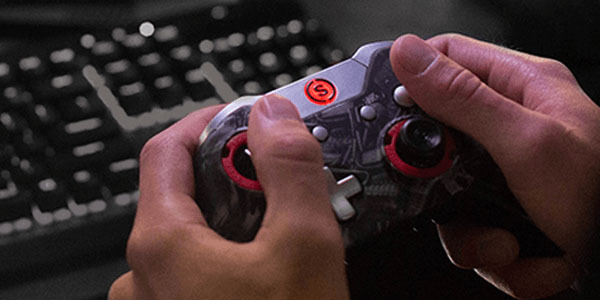 Handcrafted in the US and UK SCUF workshops. Change thumbsticks in seconds with Infinity Ring & Lock system. Use Electro-Magnetic Remapping (EMR) to configure paddle control system to suit play styles for all game genres including FPS, sports, fighting and racing. 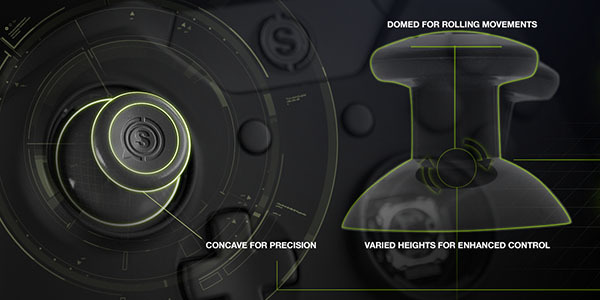 Finely tune adjustable triggers to locate the 'sweet spot' during gameplay and reduce unnecessary latency. Especially effective for FPS games. 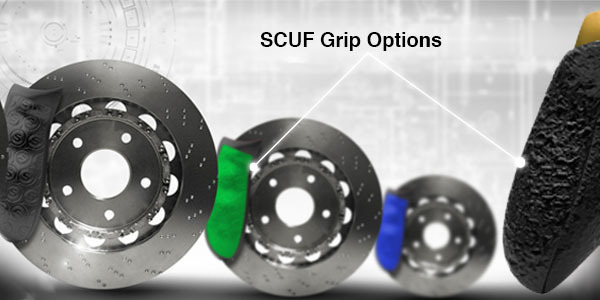 SCUF Grip options provide military grade grip to dramatically improve control and comfort, essential for sweaty hands. 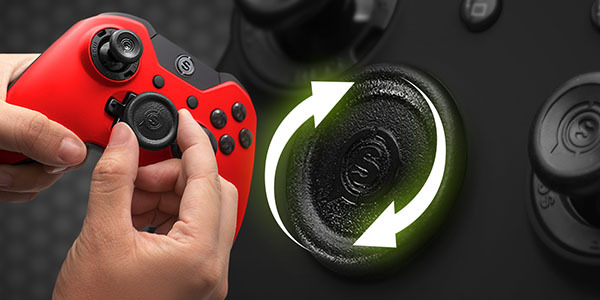 Control Disc transforms d-pad into a thumb-disc, especially effective for fighting games. Precision Thumbsticks are removable and available in three different heights with two shapes to suit all hand sizes and play styles. Reduce weight by selecting remove rumbles option to create a lighter controller, perfect for extended gaming sessions. Watch the power of your hands change the colors of our heat reactive Final Boss SCUF Infinity1 from glossy black to blue. The SMITE SCUF Infinity1 is complete with the iconography of SMITE on both the guide button and the back paddles. Metalheads rejoice! Officially licensed by Avenged Sevenfold, the Avenged SCUF Infinity1 is as brutal as a controller gets. Made as a stunning tribute to the owner of FaZe Clan, the FaZe Rain Infinity1 features a completely unique splash design in deep blue. Are you a member of the Ali-A Army? Show the world with a controller that screams his name! With a design inspired by the Northern Lights, the Pamaj SCUF Infinity1 is a fitting tribute to a legendary player. Covered in the crimson and black of his infamous Clan, the Apex SCUF Infinity1 is a slick tribute to Apex, the owner of FaZe. Featuring a one-of-a-kind red and blue web design, the TmarTn SCUF Infinity1 is a true collector's item for fans of the YouTube star. Featuring the iconography of one of France's favorite streamers, the Zydar Infinity1 is ideal for players who like to make an impression. Finished in his distinct blue and white style, the SCUF Driftor Infinity1 is a distinct design for anyone who loves the YouTube star Driftor. Decked out in an arsenal of black, white, and red, the Wicked SCUF Infinity1 is a salute to one of our favorite YouTubers, Wickedshrapnel. Featuring the Skyrroz logo in a smooth blue and yellow finish, fans of the French commentator will absolutely love this design. Cool and collected in shades of light blue and white, the Fwiz SCUF Infinity1 is perfect for fans of this legendary gaming personality. Wearing a yellow and electric blue color scheme, the ChaosX SCUF Infinity1 is SCUF's tribute to YouTube great ChaosXSilencer. With a devilish red and black design, the Wartek SCUF Infinity1 is the ultimate tribute to the great French sniper WaRTeK. Can't get enough FIFA in your life? Then you'll want to consider the FutHead Infinity1: SCUF's tribute to FIFA's favorite community.